Spring truly is a color riot at Meerkerk Gardens on Whidbey Island. 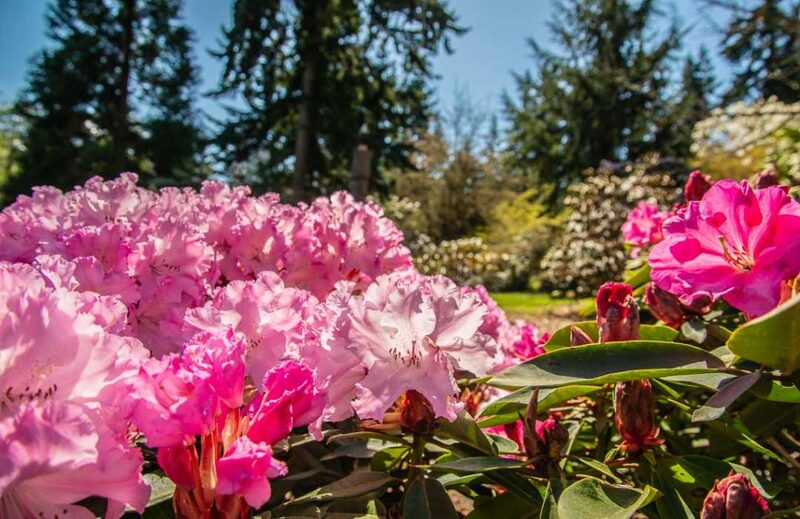 With 10 acres of gardens on display and four miles of trails, this one-of-a-kind garden is a fun way to experience spring. Meerkerk Gardens is open every day of the year including holidays, but spring is when it's signature rhododendron collection is peak bloom. Be sure to check their website for sales and classes so you can join in displaying the Washington state flower.